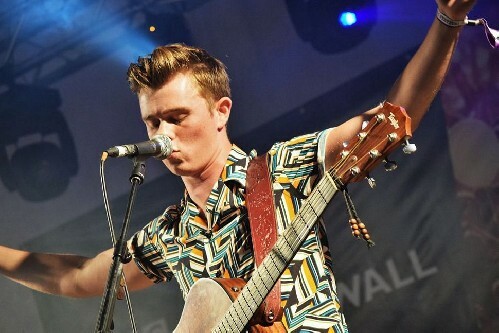 Bristol indie singer-songwriter Chay Snowdon, has kicked off his 2019 with the release of two new singles; ‘Mon Cheri’ and ‘Sha La La’. Chay Snowdon kickstarts 2019 with two new singles ‘Mon Cheri’ and ‘Sha La La’. Chay Snowdon gradually turned heads throughout 2018, dropping a handful of new tracks over the last 12 months. Now Snowdon started 2019 as he means to go on, with the release of two tracks that are polar opposites of each other. It’s a motivating song that while he sings about one particular person, if you need to motivate yourself, then put this on and get yourself pumped up. Listen to ‘Mon Cheri’ below and let us know what you think. As we said, two singles, two very different songs from Chay Snowdon. ‘Sha La La’ is a slower number. Oozing out are heartwarming thoughts of feeling inspired and spellbounded by his other half. Yearning guitars and a slow beat support the heartfelt lyrics, it’s one for pulling your better half close and slow dance with them. Set the mood and listen to ‘Sha La La’ below. They’ve already received accolations from the likes of BBC Radio 1 and more. With 2019 not even being one month old yet, Chay Snowdon looks set to make a lot of noise over the remaining 11 months.